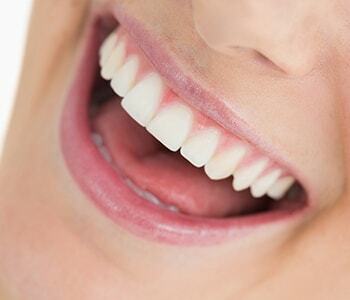 Visiting a professional who offers general dentistry in the Lewisville, NC area is simple. There are several dentists in the community who are working to improve and maintain the oral health of their patients. But finding a dentist who also provides mercury safe treatment is not nearly as easy. Dr. William Virtue of Virtue Dental Care is proud to offer mercury safe dentistry, which includes the removal and replacement of unwanted silver amalgam fillings. Over time, many dentists have used silver amalgam materials to address areas of tooth decay. Dr. William Virtue has found that these materials are not biocompatible with the body. In fact, they are formulated with mercury, which is a toxic substance to the human body and can contribute to mercury toxicity. Silver amalgam fillings are made of approximately 50 percent mercury because it helps in making the material for the filling bind together. This ensures that the fillings can be pressed into the tooth and hardened quickly, while staying strong and durable against natural chewing and biting forces. In its earliest use, doctors were not aware of the side effects of using mercury in silver amalgam fillings until studies consistently showed the potential dangers of the material. Why visit a mercury safe dentist? Silver amalgam fillings must be removed in an appropriate manner to reduce the chances of releasing toxic vapor into the air that can harm the patient, dentist, and staff. To be a mercury safe practice, the dentist must follow the strict protocols of the IAOMT, or the International Academy of Oral Medicine and Toxicology. These protocols include specific safety measures to be put in place, which includes the use of certain filtration systems in the office and wearing special masks and clothing to protect against mercury toxins. First, patients visit Virtue Dental Care to discuss with a general dentist the desire to remove and replace silver amalgam fillings. Then, once patients have been fully examined and assessed, an appointment is made for the procedure. Patients arrive at the dental office and the appropriate sedation and anesthetics are used. The dentist follows the protocols of the IAOMT and prepares the patient and staff accordingly. The mercury fillings are carefully removed, the areas of decay are cleaned and prepared, and a material called composite resin is used in place of the old mercury filling. Composite resin is hardened with a special light and polished to shine just like natural tooth enamel. Once this has been completed, patients will not only have a safer smile, but will be able to enjoy seamless integration of the filling into the appearance of their teeth. Composite resin bonding matches the color of the natural tooth enamel. In cases in which patients have extremely large fillings that affect the structure and overall functionality of the teeth, the fabrication and placement of a dental crown may be discussed with the individual. While this may include an extra cost, it greatly reduces the chance of the natural tooth breaking in the future. Everyone who has a cavity and wants to have their silver amalgam fillings removed is the perfect candidate for the use of composite resin replacements. Our team of professionals encourage patients to book a consultation appointment and initial evaluation to determine the benefits of replacing these fillings and moving forward with the use of biocompatible materials available with a general, cosmetic, and restorative dentist. Are you ready to work with a mercury safe dentist? Contact Dr. William Virtue and the dedicated team at Virtue Dental Care today in the Lewisville area by calling (336) 606-0040 and speaking with our front office team to make an appointment. We are conveniently located at 301 East Lee Avenue in Yadkinville, NC, and welcome new patients into our facility for quality care.